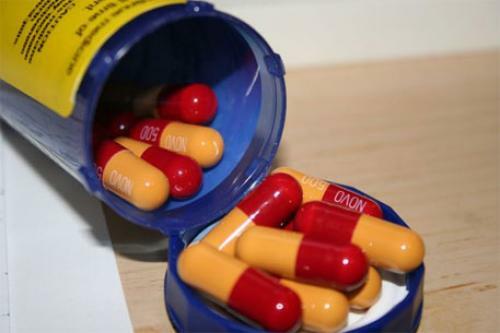 Health experts have warned that antimicrobial resistance (AMR) is a “ticking time bomb” and immediate action should be taken to tackle it. They were speaking at a live broadcast, held on May 24. The broadcasts are part of “World Health +SocialGood”, a three-day series (May 24-26) of live broadcasts organised by the World Health Organization (WHO), in collaboration with the UN Foundation, as part of the 69th World Health Assembly (WHA) that opened on May 23 in Geneva. The series features interviews and discussions with experts about the key health issues of the assembly. The three key themes this year cover emergency health reform, global health and the Sustainable Development Goals, and antimicrobial resistance. The experts who participated in the discussion included Keiji Fukuda (Assistant Director General, Special Representative for AMR, WHO), Hala Audi (Head of the Review Team, UK-Commissioned Review on AMR), Precious Matsoso (Director General, Department of Health, South Africa), Poonam Khetrapal Singh (Regional Director of WHO South-East Asia Region) and Peter Bayer (senior advisor for the WHO’s Department for Essential Medicines and Health Products). The participants shed light on the importance of immediately addressing the emerging problem of AMR and delved into several issues spanning implementation of the Global Action Plan, rising AMR in livestock, the economic impact of AMR, challenges faced by developing nations to tackle AMR, need for newer antibiotics and expectations from the WHA and the upcoming high-level meeting on AMR at the UN General Assembly in September this year. All stakeholders emphasised on increased cross-sectoral collaboration, enhanced awareness and improved regulatory controls to combat the AMR issue. The interviewees also answered some questions from viewers that were put up during the interview. Fukuda highlighted that the rise of AMR should be addressed urgently before infections become untreatable and more people fall prey to longer duration of sickness, hospital stays and high treatment costs. In the absence of any regulations, surveillance and new medicines, it was important, he said, that awareness be generated amongst people and the Global Action Plan on Antimicrobial Resistance (adopted by the WHA in 2015) be implemented through appropriate financing and political engagement. Fukuda also stressed on the need for combating AMR in livestock through their rational and judicious use. Hala Audi discussed the economic impact of AMR and key findings in the recently-released UK- commissioned final report of the Review on Antimicrobial Resistance. With approximately 700,000 people dying from drug resistant infections presently, it becomes pertinent for policy makers to take note of the economic impacts and lost outputs associated with such deaths. With excessive use of antibiotics in humans and well as agriculture complemented by market and policy failures, drug resistant infections have increased and drug effectiveness have dipped. Tackling this challenge would involve better and modernised ways of using antibiotics, development of new drugs and rapid diagnostics and better public awareness on AMR. Audi said that the ideal methods for disposal of antibiotics and active ingredients in antibiotics would be to not let “bugs meet drugs” in waste water and in waste disposed from manufacturing plants through appropriate treatment of such wastes. Precious Matsoso and Poonam Khetrapal Singh discussed the challenges and steps taken by countries in South Africa and the SE-Asian region respectively for tackling AMR. To counter the lack of awareness on AMR among common people, South Africa has been engaging in awareness surveys and campaigns in hospitals and related settings. Through integrated efforts like doctor- and nurse-driven stewardship, appropriate surveillance mechanisms and education and advocacy efforts, South Africa has responded to the Global Action Plan and ensured that everyone plays a key role in fighting the triple burden of resistance to antivirals, antibacterials and anti TB drugs. Issues faced by the SE Asian involved lack of country-level multi-sectoral collaboration across animal, agricultural and environmental sectors; need for regulations to promote prescriptive practices and monitor the over-the-counter sale of antibiotics; need for more research and innovative approaches to tackle AMR. Singh also suggested that development of a quantified understanding about the general awareness among masses and capacity building for medical practitioners and vets were some essential steps that could expedite existing efforts for controlling the spread of AMR. Peter Beyer shared his perspectives on why no new antibiotics have been in the pipeline over the past few decades. With easier drugs having been discovered much earlier, newer drugs would require huge and long term time and financial investment to reach from bench to bedside. This is also further assisted by the lower investment by companies since ROIs for antibiotic development are not lucrative enough. Keeping these issues in mind, a project in collaboration with Drugs for Neglected Diseases Initiative (DNDi) would be launched at the current WHA to fill the R&D pipeline for new antibiotics. The discussion drew critical attention to the global public health concern of AMR and came in as a crucial input for all public health experts supporting the need for tackling it. The Delhi-based non-profit Centre for Science and Environment (CSE) has been focused on advocating the need to limit the unapproved use of antibiotics in farm animals, which is an important route towards spreading AMR. In agreement with the discussions pertaining to the spread of AMR through agriculture and livestock and need for regulatory measures, CSE seeks increased attention from global bodies on countering the spread of AMR through animals and their entry into the environment. Is America the right partner for India to deal with antimicrobial resistance?